Graded GOOD+ 35 by SGC. Very attractive black-and-white variety example of Hall of Famer Willie Keeler (New York Giants) from this extremely rare issue. 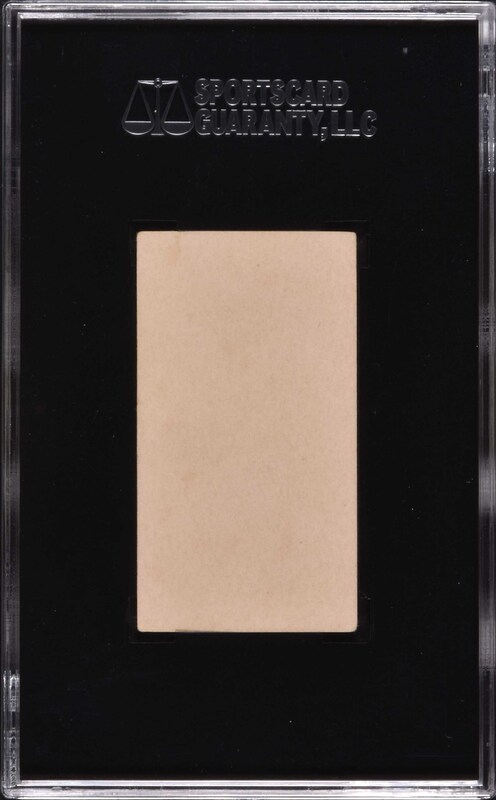 For more than thirty years, due to the natural desire of collectors to have a name by which to refer to them and a real interest in identifying the issue, these cards have been referred to as E97 "proof" cards. The black-and-white variety cards are, in fact, not really E97 "proof" cards. This unusual issue is obviously related to E97s, and they do feature the same images as are found on E97 Briggs, but little else is known with certainty about them. It is our belief that these are a candy issue unto themselves, possibly also issued by the C. A. Briggs Company. Because of hobby tradition, unless the true issuer is ever identified by newly discovered advertising or a package design, these will probably always be known as "E97 proofs." The offered card has a crisp image, even wear on the corners, and outstanding centering. Light creasing is mostly confined to the left portion of the card. The blank-backed reverse is perfectly clean. 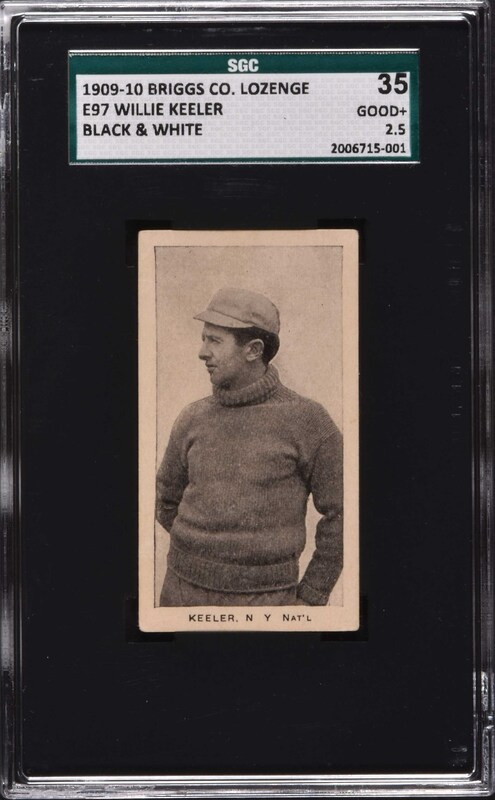 This is a very attractive, interesting, and rarely offered card of the legendary "Wee Willie" Keeler from the very scarce black-and-white variety E97 Briggs set. Reserve $300. Estimate (open).